Festivals are massive affairs – and they’re always massively popular! Come rain or shine, if the bands are big, the crowds will be too – and running a festival of any kind, be it music, food or film, is sorely incomplete without some form of security presence available to help the public and ensure that everything goes off without any major disruption. Here at ACES Security Leeds we pride ourselves on close protection as much as we do event control and public safety – but rest assured that we ensure the people we supply are both flexible and efficient and are versatile enough to help with any size of crowd to control, for any occasion. We provide a wide range of event staffing and stewarding, meaning that if you are looking to host an outdoor festival likely to attract a large number of guests, we can help cover your security needs. Festival security is as much about protecting equipment and setup as it is about protecting the public from themselves – at festivals where alcohol is being served it is a wise move to consider hiring foot patrol security to attend to and remove any potential troublemakers from the scene, as well as ensuring that the crowd is kept controlled via stewards and door or line supervisors. It’s all about showing people a great time – but ultimately, safety is key as much as security! 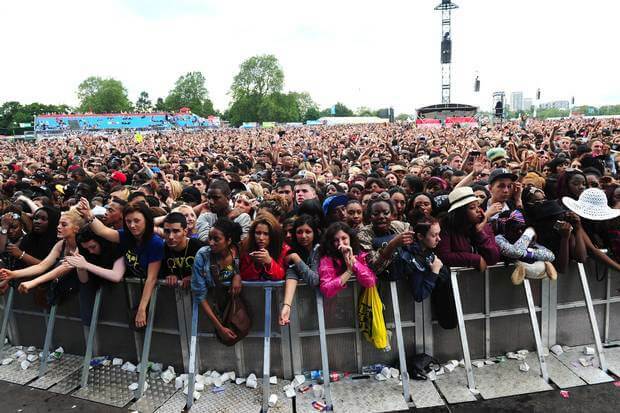 If you’re looking to set up a large festival or open-air concert and are in need of efficient and thorough ground coverage, why not contact us at ACES Security Leeds today? We’re experts in close protection as well as crowd control, and we will be very happy to discuss and assess your needs and your budget at your leisure.